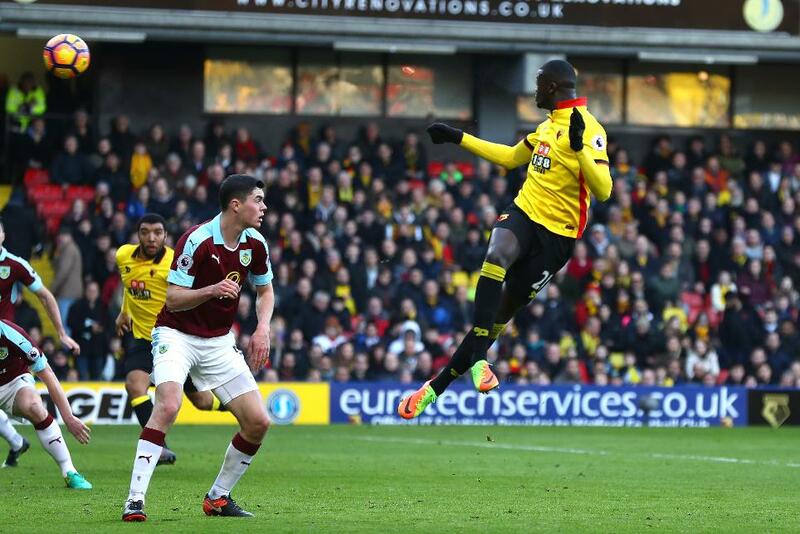 A goal and assist from M’Baye Niang (£6.0m) steered Watford to a 2-1 victory over 10-man Burnley, with the January signing claiming three Fantasy Premier League bonus points. Niang recorded a Bonus Points System (BPS) score of 52, also contributing five recoveries and creating two "big chances". A late penalty from Burnley's Ashley Barnes (£4.5m) was enough for the striker to collect two bonus points with a BPS tally of 29. In addition to his converted spot-kick, Barnes made nine recoveries and won two tackles. 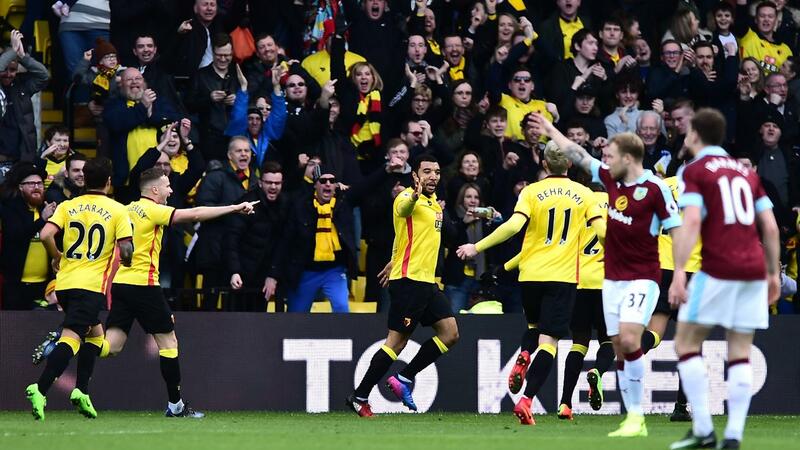 Troy Deeney's (£6.6m) opening goal for Watford was only enough to earn him a single bonus point. The Hornets captain's BPS total of 28 suffered as he was tackled and caught offside twice and also committed two fouls. Deeney did, however, come out on top in the ICT Index, with a score of 16.5. He recorded a Threat tally of 93 thanks to two close-range efforts, while also laying on two chances en route to a Creativity score of 25. Niang gave chase to his skipper with an Index score of 15.5. In a hugely promising home debut, the Frenchman excelled for both Threat and Creativity, registering scores of 51 and 39 respectively. He fired four shots on goal, three from inside the box, and also created two chances. Deeney has now scored three goals in his last trio of Gameweeks and with loanee Niang also impressing, FPL managers have two viable options to consider in the Watford attack. With penalty-kick duties, Deeney remains the most assured asset, though Niang, who was deployed on the right flank, is an exciting alternative. However, with a daunting trip to Manchester United to come in Gameweek 25, short-term interest is likely to be tempered. In addition, Watford could have their Gameweek 28 fixture postponed should Chelsea beat Wolverhampton Wanderers in the fifth round of the FA Cup. For Burnley, midfielder Jeff Hendrick (£5.4m) will miss the Clarets’ next two matches, against Chelsea and Hull City, due to suspension after being sent off for a challenge on Watford’s Jose Holebas (£4.7m). That will likely provide an opportunity for new signings Robbie Brady (£5.5m) and Ashley Westwood (£4.5m) to force their way into the starting XI. The penalty for Barnes made it three goals and two assists in eight consecutive starts. He remains a viable option for the benched third-forward slot for those FPL managers deploying a 3-5-2 formation. Andre Gray (£6.2m), who scored from the penalty spot against Arsenal in Gameweek 22, had been substituted prior to Barnes' kick but is still thought to be Burnley's designated taker when on the pitch.